Diet Special on sale now! This month’s Woman’s Own diet special is packed full of advice and ideas to help you succeed in your weight-loss journey. Want to know the celebs slimming secrets? We reveal how to get a flat tum like Carol and the top secret tips and tricks that you can try at home! Now you’ve got the celeb body, you’ll need a wardrobe to match! We show you how to work this seasons Autumn/Winter fashion trends to help flatter your figure. Lose half a stone this week with our pick of the top 3 diet plans that will work for you. Plus, take our test and discover what food and drink will give you a body boost. All this and advice from inspirational women who’ve won their weight-loss battle, as well as a free recipe guide with delicious and nutritious low calorie meals to help you keep your family on the right track. NEW LOOK Woman’s Own diet special! 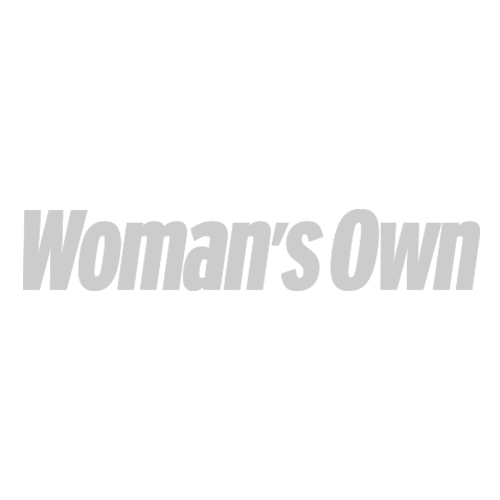 – out NOW! 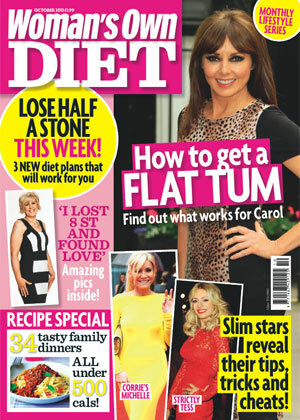 Woman’s Own diet special is now available to download here for only £1.99 on your tablet or iPad. Click on the icons below to find out more. Plus you can download your weekly Woman’s Own magazine in digital format on your tablet today, or find it on sale in your newsagent. Find out more here.